Rising From The Dread -Re release! The classic twelve inch recording includes the hugely influential eleven minute track Werewolf which occupies the whole of Side 1 and was described in The Guardian in 2010 as the scariest song ever. Side 2 contains Jerusalem (over the White Cliffs of Dover), Rising From the Dead and Testament. 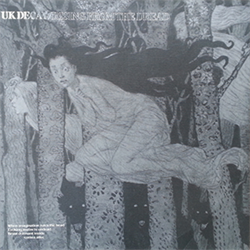 The record was the first release of the Corpus Christi label, an offshoot of Crass Records, and made the Top 10 of the Independent Chart in 1982.